Due to issues with the current storage at Woolston, the Swim Shop are having to move to another location in the building. Unfortunately this will mean that the Swim Shop is not accessible to parents. If you need anything from the shop please contact them at swimshop@swimwarriors.org.uk and they will arrange to meet you in the spectator’s gallery. 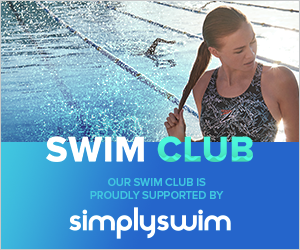 The Swim Shop is located at Woolston Leisure Centre and provides swimmers with easy and affordable access to swim wear and swimming equipment. The Swimshop stocks a range of Warriors swimming costumes, branded kit and training equipment, all available to purchase at competitive prices. Training equipment includes girl’s and boy’s training costumes, kick floats, pull bouys, training fins, snorkels, hand-paddles, goggles, caps, water bottles and mesh bags in which to carry it all. The Swimshop team will advise you on what is best for your swimmer. Warriors branded kit includes, backpacks, t-shirts, tracksuits, sweatshirts and fleeces. An essential for any Warriors swimmer is a club swimming cap. Please note these must be worn when competing at galas. The shop also provides starter packs for new swimmers which will include all the equipment needed. This will work out less expensive than buying individual items. For Swim Shop opening hours and inquiries please email the team at swimshop@swimwarriors.org.uk. The Swim Shop Team also have kit available for sale at Badge Galas and the Club Championships. You can download the forms below to order Warriors branded kit. Please hand the completed forms to one of the Swim Shop Team. Kit for sale includes dry fit polo shirts, dry fit t-shirts, fleeces, hoodies, jog pants, polo shirts, tracksuits, rucksacks and beanie hats. Clothing is available in adult’s and children’s sizes.